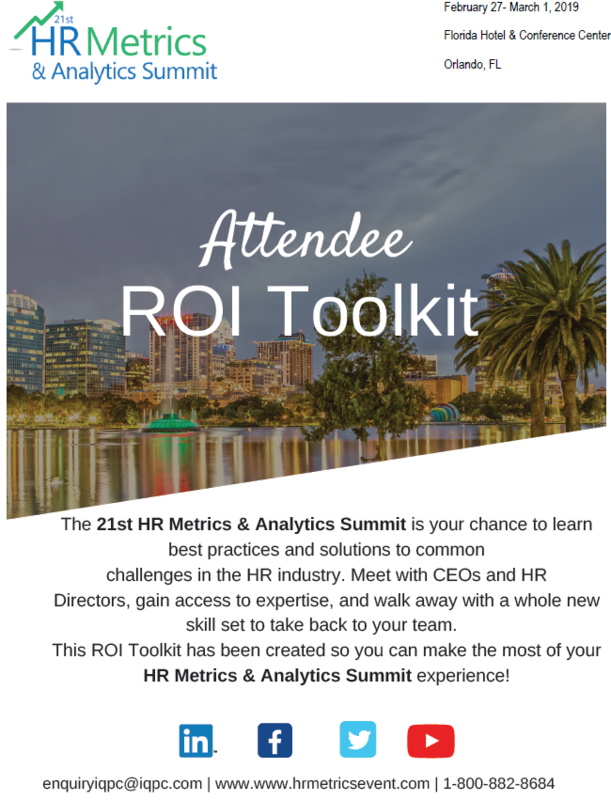 In this ROI Toolkit you will find everything you need to streamline your registration for the 21st HR Metrics & Analytics Summit, running February 27- March 1 at the Florida Hotel & Conference Center in Orlando, FL. This event will be co-located with our Employee Experience Impact Summit. For more information email enquiryIQPC@iqpc.com.